Buzz Word is a catch phrase game. 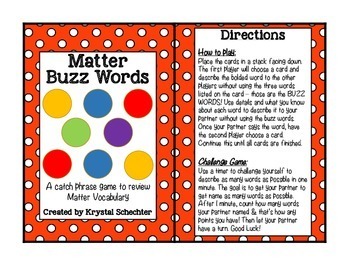 This Buzz Word game helps students review matter vocabulary words. They have to get their partner to say the vocabulary word on the card without using the three Buzz Words listed on the card. It is a great way to challenge your students and make sure they are studying their Science vocabulary. 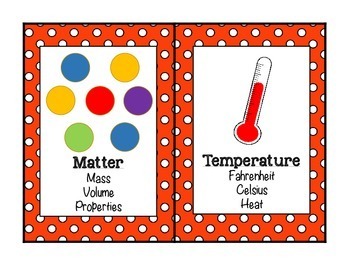 Includes cards for 14 matter vocabulary words. 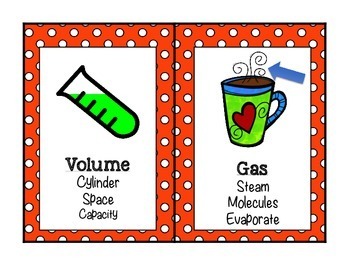 Check back soon for Buzz Word Games for other Science Units! 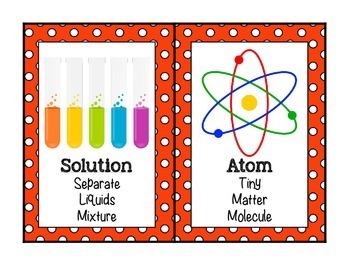 These Buzz Word Games are aligned to the Science Vocabulary cards available in my store.